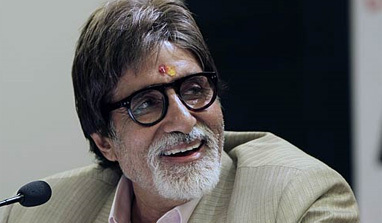 Amitabh Bachchan Turns 70! ~ " Century Fox Post "
Seldom are there people who are able to transcend the realm of the mortal and carve a niche for themselves as superhuman during their very lifetime. Seldom are there people whose very name evokes a feeling of deep admiration and unfathomable respect in the mind of the listener. Seldom are there people who are unparalleled in every aspect of their life. Seldom is there a man whose deep voice can wake a country of 1.2 billion from their stupor. Only once can there be Amitabh Bachchan. As an actor, Bachchan is a monument of sorts. He is a living reminder of the perfection that the Hindi film industry has been able to reach till date, and more often than not, he has been referred to as a ‘one-man industry’. Boasting of a mammoth persona on the silver screen, the megastar is by far the most influential actor in the history of Indian cinema. His very name is enough to turn an entire project into a success, as has been proven by the Polio Campaign of the Indian Government. Since the time Amitabh Bachchan was first seen on screen in ‘Saat Hindustani’, to this day when the industry swears by him, is a trajectory that hasn’t exactly been all rosy for the actor. The veteran has seen as many troughs as crests in his four decades long liaison with the Hindi film industry. While Amitabh Bachchan has been seen straddling across the entire length and breadth of the world of films in India, he has also seen himself sinking – at times, into oblivion – in the same territory. The few years long period wherein Amitabh churned out no blockbusters, was accompanied by depression and acute pessimism. The actor is known to have mouthed the words “This film will be a flop!” before the release of every single film during that time. However, like they say, if there are the seeds of a revolution in somebody, they cannot stay away from the gaze for long. In 2000, when Yash Chopra’s ‘Mohabbatein’ hit the silver screens, Amitabh Bachchan left people speechless with his role. The phoenix had risen, and how! The success of several films rode solely on the shoulders of Amitabh Bachchan at that point of time, and anybody would hardly deny that. His contemporaneous TV stint, ‘Kaun Banega Crorepati’, established the actor as a face that became an integral part of every drawing room. People jumped up in joy when Amitabh Bachchan lauded the contestants, and had tears in their eyes when he declared someone’s exit from the game. The baritone of the legend left people weak in their knees, and just the hope of seeing the man, in person, left many sitting by their telephone sets for months and years. The actor is a name which is uttered with awe, respect, admiration – and these are feelings which are expressible: the many others will always remain inarticulate. In the history of Indian cinema, no other actor has been able to command as much space and as deep an influence as Amitabh Bachchan has been able to. His role in Indian films is perhaps like that of Ulysses in the Trojan War. When, eons later, one delves into the past of Indian cinema, one name that would perhaps appear brighter than most others, would be that of Amitabh Bachchan. Hardly are there people whose name becomes synonymous with an entire film industry. The task of writing anything about a man called Amitabh Bachchan is a task that one should probably not take up. No matter what one writes, no matter how much one is able to circumscribe within the boundaries of the pages of their books and thesis, one would just not be able to come anywhere near doing justice to the living legend that Amitabh Bachchan is. And at 70, the superstar has grown just another year younger.